Severn Trent Plc (LON:SVT), a leading UK water and wastewater company, today announced a trading update for the period to 6 February 2019. Following Ofwat’s announcement last week, we are delighted Severn Trent has been selected as one of only three fast-track companies for our PR19 plan. The plan was praised for its approach to customer engagement, affordability, cost efficiency and innovation. We welcome the clarity this early assessment provides to help us plan for a fast start in April 2020. We are pleased that the most recent UKCSI1 survey acknowledges Severn Trent’s continued strong performance in the eyes of our customers, placing us in the top quartile of our sector as we prepare for new customer experience measures in AMP7. There have been no material changes to current year business performance or outlook since the HY18/19 results presentation on 22 November 2018. The Board continues to expect that the Group will deliver full-year trading performance in-line with its expectations and prior guidance. In December, we welcomed Ofwat’s decision to increase the cap on waste water customer ODIs from 2% to 2.6% of RoRE, from 1 January 2019. This continues to align performance incentives to the things our customers care most about. As previously stated, these prospective changes will provide the opportunity to receive further outperformance payments in FY2019/20 for some of our longer-term waste water customer ODIs that would have been limited by the previous cap. Our guidance of a net neutral position for FY2018/19 remains unchanged. Our capital programme is progressing well and we are on track to deliver our biggest capital spend in a decade. Our re-investment programme from part of the £870m Totex efficiencies we have delivered in AMP6 is continuing at pace, putting us in a strong position for AMP7. We will be hosting a webcast at 14.00 today, 6 February 2019 to discuss the details of Ofwat’s announcement in more detail. You can also access our investor summary of the key facts here. 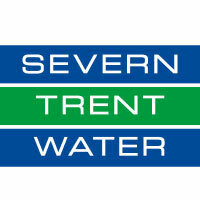 Severn Trent’s annual results announcement and presentation originally scheduled for 22 May 2019 will now take place a day earlier on 21 May 2019. Click SVT for the full archive.